Makes 100 Layer color after color of Sandtastik’s classic sparkling sand using this assortment of clear sand layering bottles. Sand layering is an easy and fun activity, even for children with small hands. Specifications: Contains: 100 PET plastic bottles with lids Shape: Various Size: 3 to 6 oz Refillable Durable, sturdy PET plastic, a safe alternative to gl..
Makes 8 Layer color after color of Sandtastik’s classic sparkling sand using this assortment of clear sand layering bottles. Sand layering is an easy and fun activity, even for children with small hands. 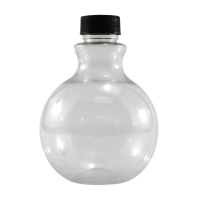 Specifications: Contains: 8 PET plastic bottles with lids Shape: Various Size: 3 to 6 oz Refillable Durable, sturdy PET plastic, a safe alternative to glass ..
Purchase sand in 10lb or 25lb boxes and fill up bottles. 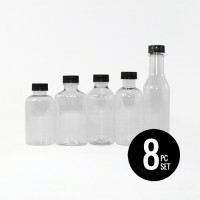 Perfect size bottle for all sand layering craft activities! 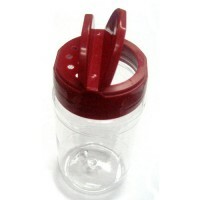 ..
Set of 12 - 2.5" plastic funnels - a great help for filling sand layering bottles to make it easier and more convienant! 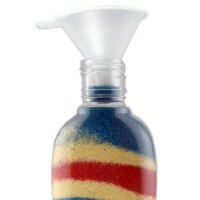 ..
Layer color after color of Sandtastik’s classic sparkling sand using this honey bear sand layering bottles. Sand layering is an easy and fun activity, even for children with small hands. 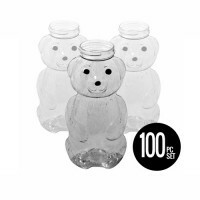 SPECIFICATIONS: Contains: 100 PET plastic bottles with lids Shapes: Honey Bear Size: 8 oz Refillable Durable, sturdy PET plastic, a safe alternative to glass jars Clear, transparent – no yellowing Secure twist-..
Makes 4 Layer color after color of Sandtastik’s classic sparkling sand using these honey bear sand layering bottles. Sand layering is an easy and fun activity, even for children with small hands. 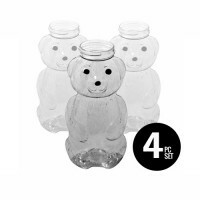 Specifications: Contains: 4 PET plastic bottles with lids Shapes: Honey Bear Size: 8 oz Refillable Durable, sturdy PET plastic, a safe alternative to glass jars ..
Makes 4 Layer color after color of Sandtastik’s classic sparkling sand using these round sand layering bottles. Sand layering is an easy and fun activity, even for children with small hands. 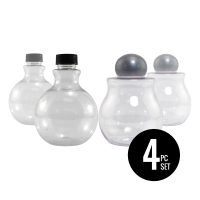 Specifications: Contains: 4 PET plastic bottles with lids Shapes: Round Refillable Durable, sturdy PET plastic, a safe alternative to glass jars Clear, transparent – ..